The party that’s late, but always right on time. Join us for a unique evening of Late night beats and dance-floor treats as we welcome a close friend of the Alley Cat Family. Chad Is making a quick stop to play with us before his annual trip to Sunwaves Festival in Romania. The Vatos Locos & Tini & the Gang resident is ready to bring the minimal dub techno sounds to the south once again. 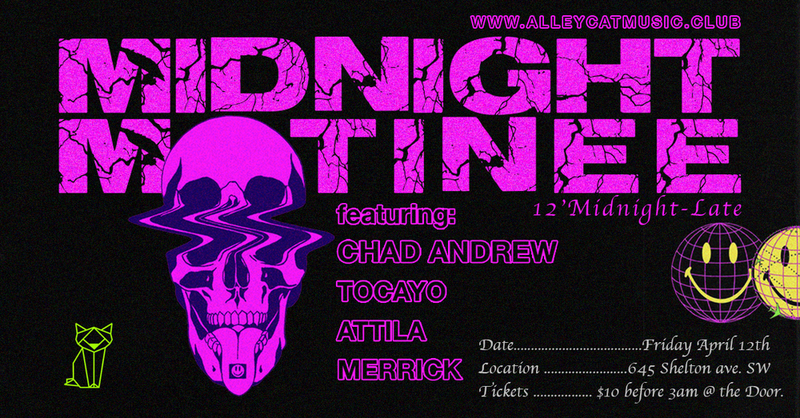 $10 Before 3am for everyone!